Beautiful Living bordering the Blue Ridge Parkway in the Swiss Village of Little Switzerland! Mountain Top home with breathtaking mountain views. 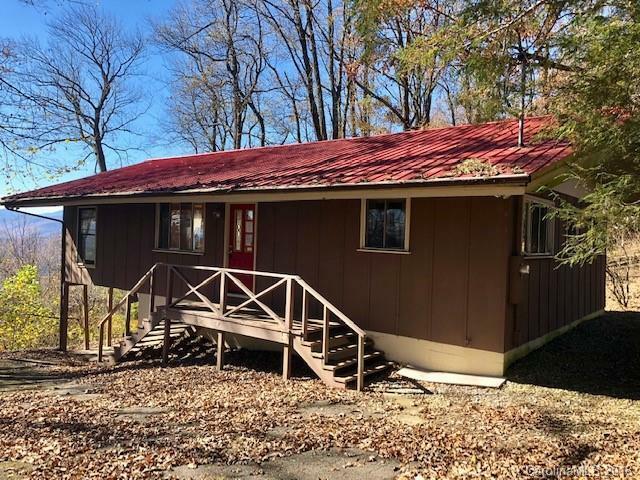 3BR/2BA chalet style on 1 acre. Main level has an open floorplan with access to side deck overlooking the Blue Ridge Mountains, vaulted tongue and groove ceilings with exposed beams and large picture windows to bring the panoramic view indoors and 2 BR and a shared bath. Lower level has a separate entrance and has a bonus room and master bedroom with full bath/laundry area. Covered parking area along the circular driveway. HOA fee includes water and road maintenance. Bring your rocking chairs! Per Cov Res no commercial rentals allowed. Can rent to family and friends only.